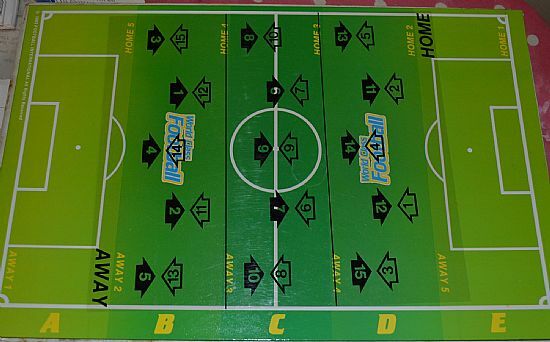 A standard board and statistics type game riddled with Americanisms. Great attantion to detail and a good alternative to Logacta. 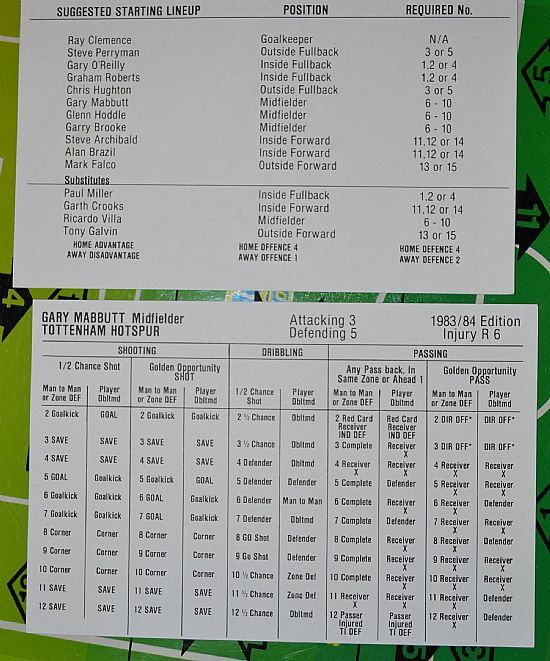 Dated 1984 and complete with a good number of team squads for English and Scottish teams. 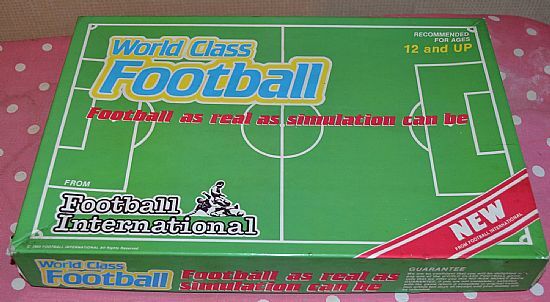 Lovely boxed game from Football International, complete and virtually unused. 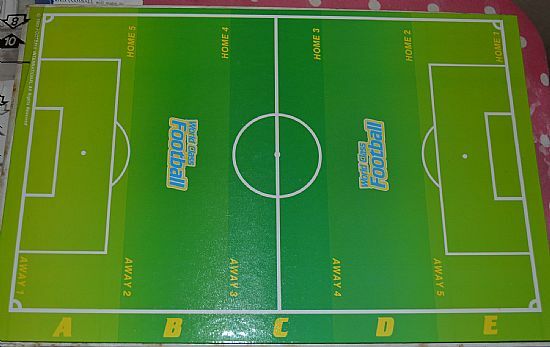 A baseboard to play the game on, useless without the clear overlay. A mysterious clear overlay with arrows and numbers. 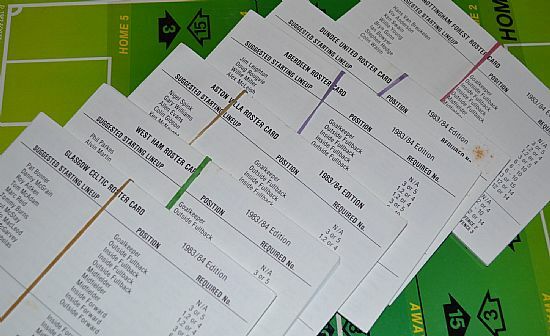 Sadly the squad cards are named as 'Roster cards'. 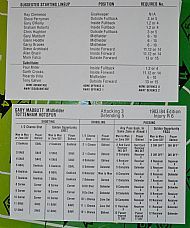 Each team has a squad card plus individual player cards. 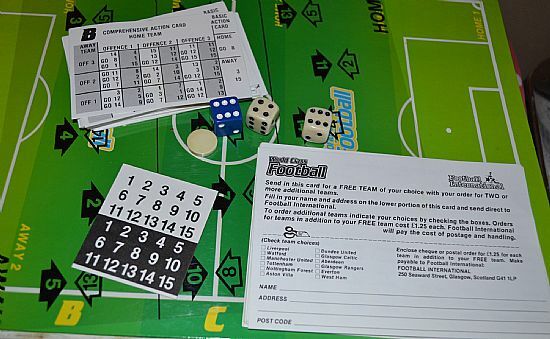 A bag full of other accessories - dice, ball, cards etc. And Double Teaming - a player may be double covered!!!! !